A FORMER FIANNA Fáil activist, who quit the party after criticising its marriage referendum campaign, is to run for the Social Democrats in Cork East. He quit Fianna Fáil in May, just days after the marriage referendum was passed, saying the party “didn’t turn up” to campaign for a Yes vote. He said his resignation was “the straw that broke the camel’s back”. Curtin joined the Social Democrats in recent weeks and was at the party’s pre-budget submission launch in Dublin last week. The SocDems are also announcing the recruitment of Aisling O’Neill who will run in Meath East. The emergency department nurse contested last year’s local elections as an independent candidate in Ashbourne. However, she failed to get elected. Councillor Gerry Warnock, who is the current chair of Longford County Council, will run for the SocDems in Longford-Westmeath. He recently said the council could not provide housing for 20 asylum seekers, insisting it was “nothing to do with racial prejudice”. The party has also recruited Leonard Kelly to run in Wexford. He was an unsuccessful candidate in last year’s local elections and a founding member health awareness and fundraising group Friends of It’s Good to Talk. He is also a board member of Wexford Educate Together Primary School and Wexford County Childcare Committee. The SocDems’ latest recruits bring to 14 the total number of candidates confirmed as running in the general election next year. The party recently recruited businesswoman Glenna Lynch and former Labour councillor Cian O’Callaghan to run in Dublin. A party source declined to be drawn on how many candidates the SocDems will end up running in the general election. The source said that the party will focus on “quality over quantity”. We won’t be running 25 just to hit a number. There’ll only be 25 if there are 25 candidates who we are confident are fully on board with the values and principles of social democracy. Speaking this morning, Róisín Shortall said the party has been “overwhelmed” by the number of people coming forward “to help out behind the scenes or get involved with delivering our shared vision”. Read: Could it really cost just €13 million to abolish Irish Water? Email “This ex-Fianna Fáil activist is among the latest batch of SocDem candidates”. 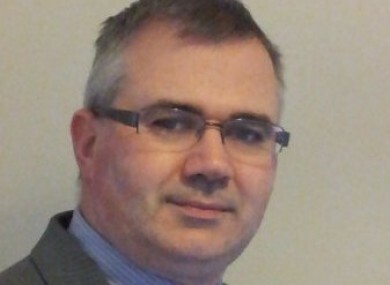 Feedback on “This ex-Fianna Fáil activist is among the latest batch of SocDem candidates”.